The Ruger LCP is a well made pistol and we found that makes a noticeable difference on the range. Yes, it’s technically one of those guns to carry a lot and shoot far less frequently, but we were pleasantly surprised by its ergonomic friendliness over long shooting sessions. No, we would not want to crank off a few hundred rounds of high-pressure self defense ammo at a single sitting, but shooting lower recoil practice loads exhibited a low level of self abuse. Full Review of all the firearms. 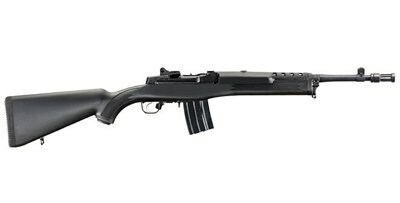 Sturm, Ruger & Company, Inc. (NYSE: RGR) is proud to announce the Ruger® Gunsite Scout Rifle, the ideal “fighting carbine” in .308 Winchester that is a credible rendition of Col. Jeff Cooper’s Scout Rifle concept. Cooper called for a relatively lightweight, hard hitting, do-all rifle that in the hands of an accomplished shooter was able to place accurate, sustained fire out to long ranges, yet was quick-handling and light enough for all-day carry. Sturm, Ruger & Company, Inc. (NYSE: RGR), announces the availability of three, AR-style upper receiver assemblies featuring the innovative two-stage, piston driven performance of the SR-556® family. These rugged and reliable SR-556 piston driven uppers run cleaner, cooler, and are easier to maintain than traditional gas driven systems, offering significantly improved reliability. 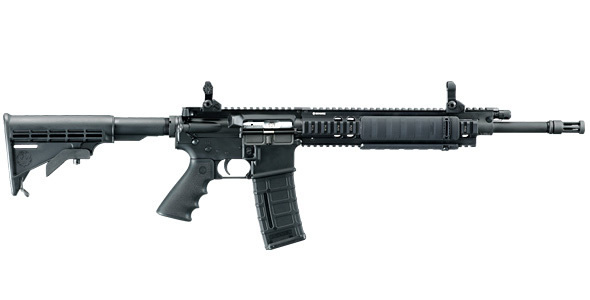 SR-556 upper assemblies will be available through firearms retailers and ShopRuger.com. The Coyote Special is a version of the Ruger .380 which the Governor used to kill a coyote while jogging with his dog. You are currently browsing the archives for the Ruger category.